Single storey terrace houses were the most common house-type for rural areas and small towns. In urban areas where land has become expensive, single storey houses are not common any more for new developments. Typically they occupied 20’X70’ plots of land and a few years ago would be priced at RM110,000 and below. However, they are expensive to build with a big area for footings and roof, a large party wall, and low density. Worse, they are perceived as less prestigious than two storey houses. Now with building costs much higher than a few years ago, even developers in rural areas are shunning the single storey houses. The ones that get launched are also getting more expensive, leaving a gap in the supply of new houses in the RM80,000 to RM130,000 price range that used to be served by the single storey terrace houses. 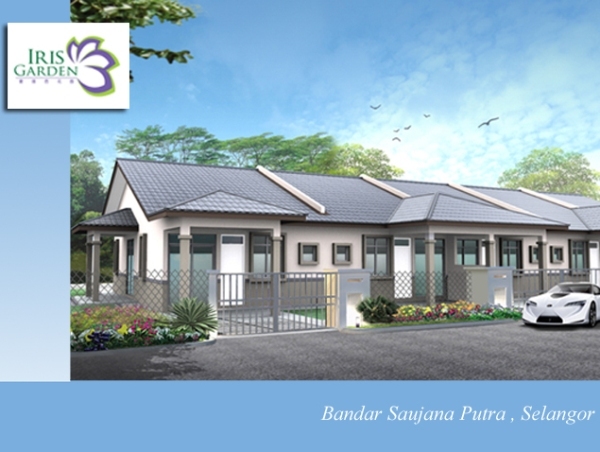 There is a type of residential unit in Malaysia which is called a “townhouse”. Introduced in the 1980’s, it is actually a large terrace house with different owners on the ground and the first floors. This relatively new building type, is for people who can’t quite afford a terrace house, but do not want to live in flats. We decided to come up with a Honeycomb version of the townhouse. What used to be a sextuplex house was divided into upstairs and downstairs units. 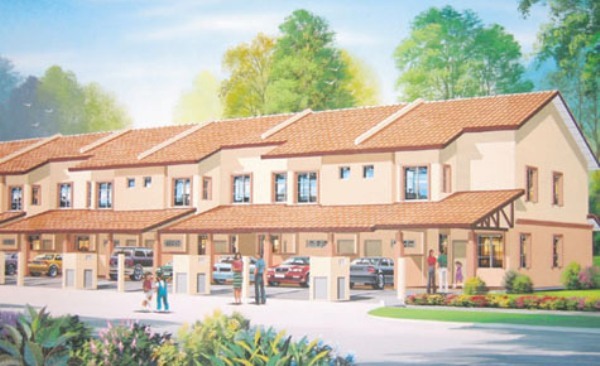 These townhouses can fill an important niche in the market: while the usual kinds landed property – terrace, semi-detached and detached houses – are becoming more unaffordable for many people, they are not yet ready to accept living in apartments. At about 900sf built-up area, these can be an acceptable substitute for single–storey terrace houses. They are cheaper to build than single storey houses because they have more shared walls, floors and roof, and each unit takes up a smaller piece of land. I believe that they should be priced 10% cheaper than single storey houses. The new Honeycomb Townhouse designs are an improvement on the terrace townhouses now already found in city areas. The terrace townhouses usually have only 22’ or 24’ frontages and this is too tight. The street fronting the townhouses has gate after gate along it: there is no space at all along the street for a second car, or indeed for any visitors. There is also too little external walls for proper ventilation and lighting for the rooms within them: the room layout gets very contorted as the various rooms compete for space for windows. 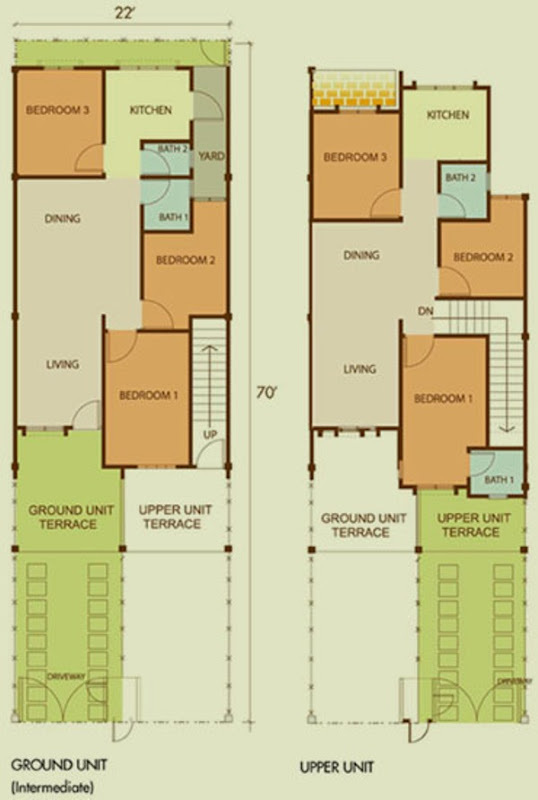 The Honeycomb Townhouse has the advantage of being a corner unit with a garden to the side. There is more space for windows, and this makes the layout easier – there are enough external walls to provide windows for all the rooms. The Honeycomb Townhouse also has at least 30’ frontage. This means that after providing for the gates to the car-porches of the lower and upper floor units, there is still another 10’ to the side. 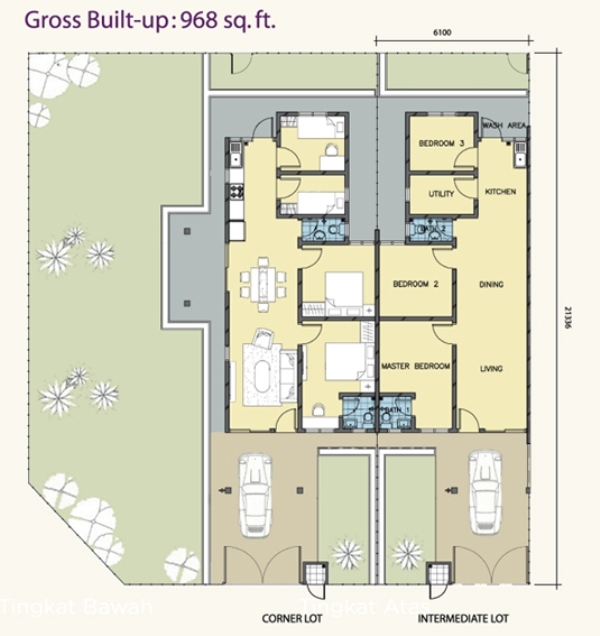 In addition, the Honeycomb courtyard would mix quadruplex and sextuplex units, but only the sextuplex units are suitable for conversion to Townhouses (the quadruplex units have frontages which are too narrow). So the mixture of quadruplex and Townhouses becomes less crowded than a street of terrace townhouses. There is another important advantage – the terrace townhouse has a rear garden for the ground floor unit but none at all for the first floor unit. 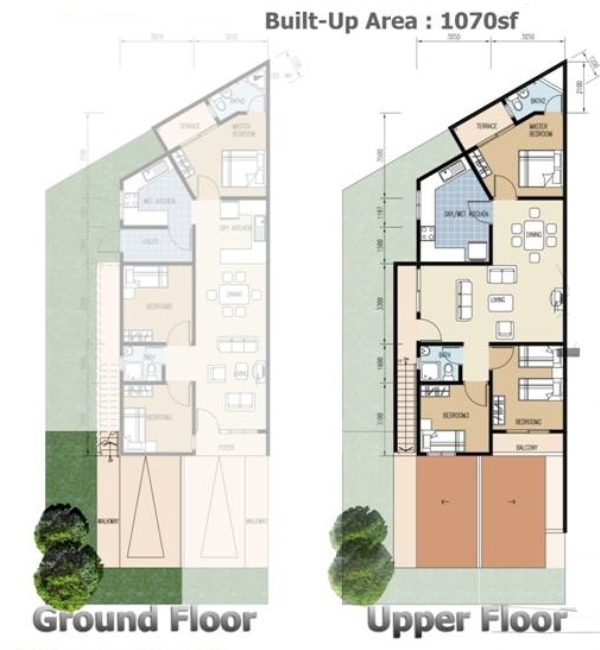 But the Honeycomb Townhouse has a front garden for the upper floor unit and a rear garden for the lower ground unit! Sorry, my images did not appear in most of my posts: the images are now ok. To the person who complained - thanks very much! I hope we get to see more honeycomb townhouses being built. Beautiful designs and great space measurements for a cheaper price. What more can I ask for?